Here we are at day 5 already. 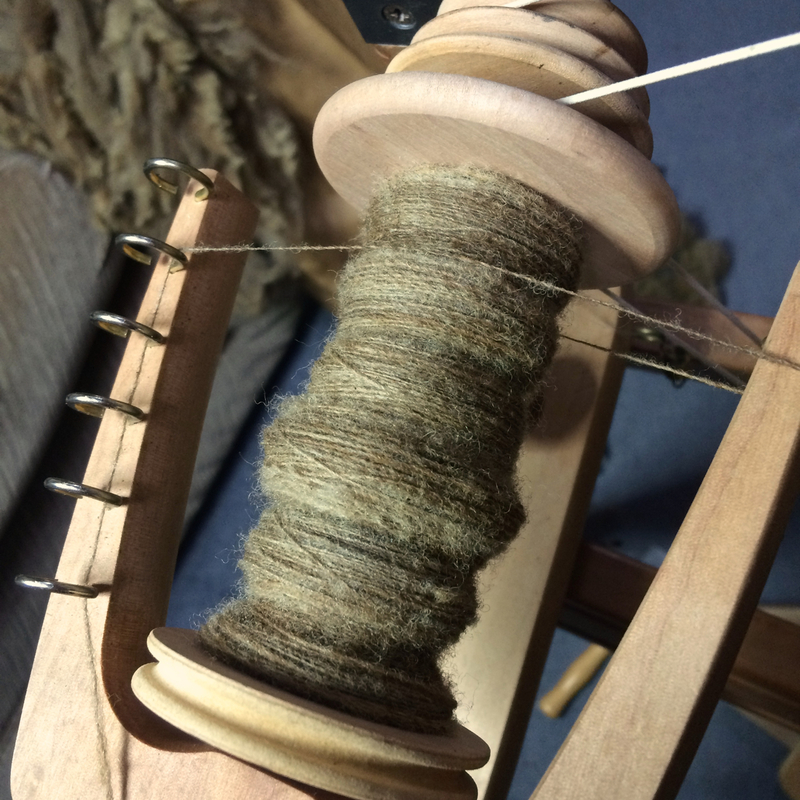 There doesn't look much on this bobbin but it's drawing out very fine. Not what I intended but I'm going with it - it may be the finest I've spun. And it's fun. 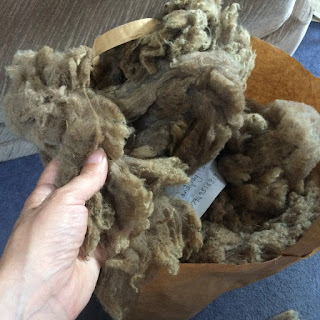 I decided to use the Tour de Fleece spinning time to spin this fleece. It came from Fibre East last year. A Shetland fleece in a nice colour, good locks, still in grease but very clean. 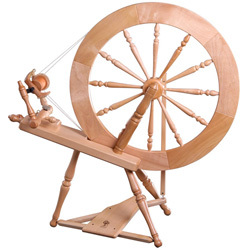 I decided to use a technique I was taught on my first spinning lesson. 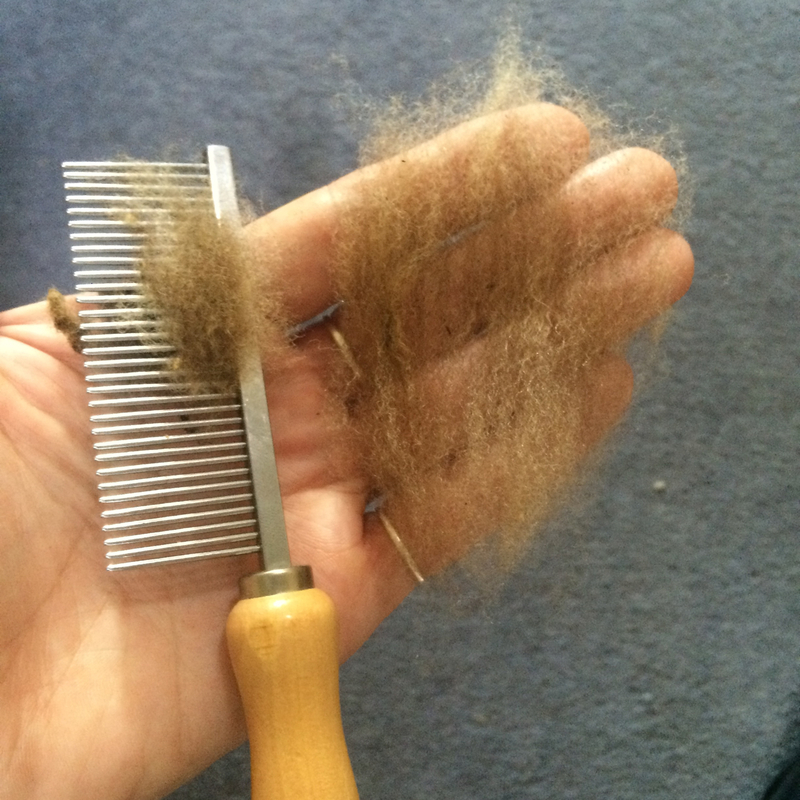 It involves holding each lock, combing with a dog-comb, turning the lock around and combing the other end. 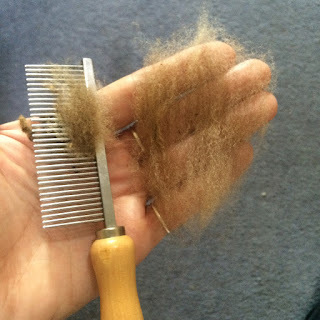 I prefer the dog-comb to a flick-carder. The result is a well-separated and parallel lock. 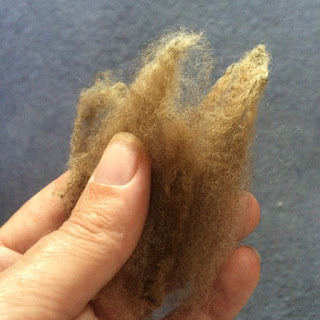 It's not fast work, I'm combing as I go, but this isn't a race! !